St Paul's is a unique and exceptional Catholic school that provides an environment where every student can flourish and succeed. Our mission is simple; it is that each student can achieve their potential and make the most of their God-given gifts and talents in their time with us. All of our education is based on the Gospel values faith, hope and love. The education and experiences students have here should be better than they would experience anywhere else. We look to support and challenge students so they flourish in a culture of success which sets them in the right direction in life. Our students have excellent opportunities to grow academically, personally and in their faith. 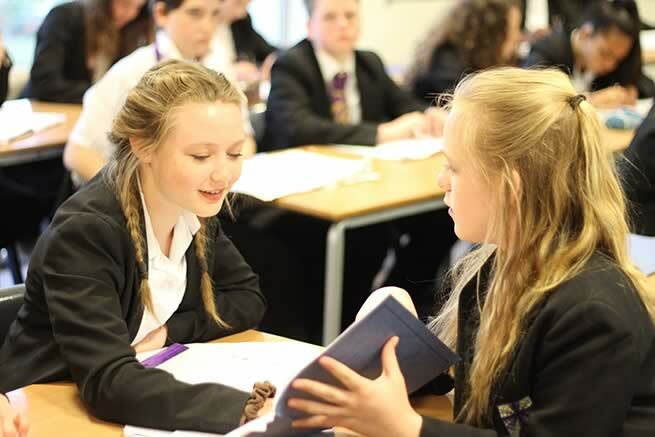 We can offer the perfect combination of academic achievement and the support of a vibrant faith community. When you send your child to us you can trust us to give them the best opportunities in every area of College life. We believe in and live out Gospel values in all that we do. Every individual is given the opportunity to develop and fulfill their God given potential. We believe this encourages each person to develop spiritually, socially and academically, leading to a very rounded education for life in the modern world.